New ideas can work, says EA Games president Frank Gibeau, but they have to be presented just right in order to do so. 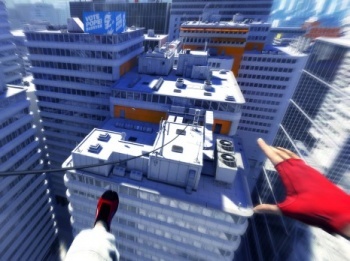 Despite a lot of positive reviews, first-person parkour game Mirror's Edge suffered from poor sales when it came out in 2008. Gibeau thinks that this is because the game was released before it was really ready, and that while the concept was fun, the execution wasn't good enough for the game to be a success. According to Gibeau, there were problems with pretty much every part of Mirror's Edge. The learning curve and difficulty were all wrong, the story wasn't up to scratch and the game lacked any kind of multiplayer. He said that Mirror's Edge had taught EA that for such a bold concept to succeed, the developer has to take it as far as it can go. "You have to execute," he said. "You have to spend more time on a game to ensure it's polished, and you need to have the depth and persistence of an online game." He said the lessons learned from Mirror's Edge had helped shape the sequel to another underperforming game: Dead Space. The sci-fi survival horror was much more successful than Mirror's Edge, although still didn't meet expectations. Gibeau said that for Dead Space 2, it was important to refine the concept, making the story and character more engrossing, and making the game work in a multiplayer context. This resulted in previously-silent protagonist Isaac Clarke gaining a voice, and the addition of a human versus necromorph - the name for Dead Space's monsters - death match mode. Gibeau said that EA didn't plan to abandon either IP, adding that while there was a lot of risk involved with new ideas, if done right, they had the potential to be huge. While no one is likely to argue with Gibeau about the importance of polishing a game before it gets shoved out the door, it's a little troubling to hear him say that games that seem better suited to single player, like first person parkour games, or sci-fi survival horror need a multiplayer option in order to succeed. That said, if you want people to feel like they've gotten value from their purchase, and perhaps more importantly, not trade it in after they're done with it, there has to be something there to make them hang on to it - a role that multiplayer modes can often fill.